We were walking past a cricket pitch in Lahore when one of my kids gasped. Eyes open, he pointed excitedly at the centre of the pitch. 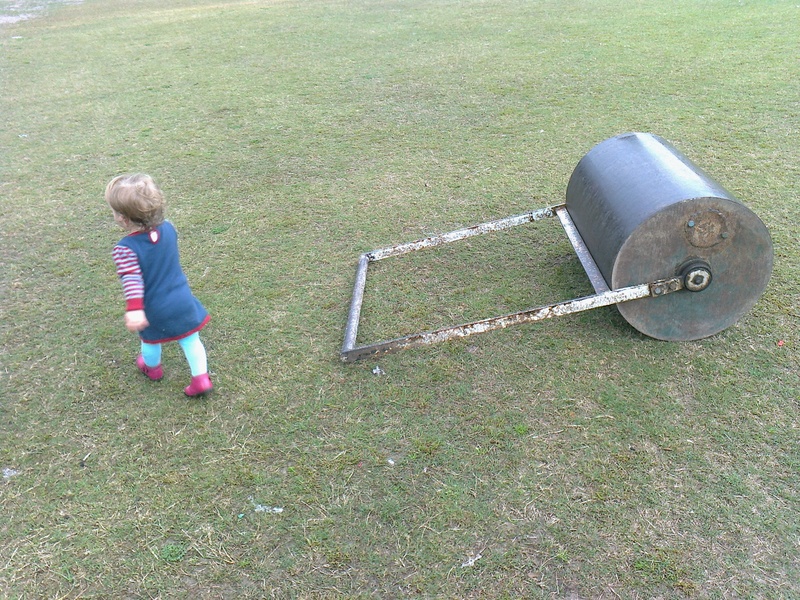 An old metal roller lay next to the wicket. The groundsmen had just been using it to roll the wicket flat in preparation for a match and now it lay on its side, supine and ungainly, like a hippo taking a nap. My son ran over to it excitedly, grabbed the handle, and pulled. Nothing happened, of course. The roller weighed several times more than my son did. It would have taken three or four men at least to move it. And yet he tugged and tugged, his eyes widening with the effort, the optimism of youth set against the immobility of a a heavy roller. After a while he gave up and wandered off to chase some crows. He never would have moved it. Of course he wouldn’t. But I’m glad that in his mind at least, nothing is impossible.